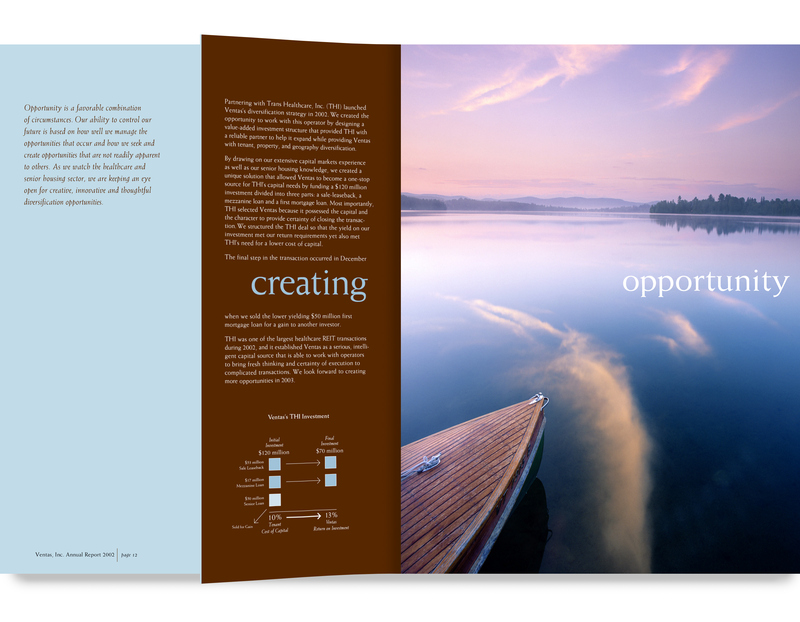 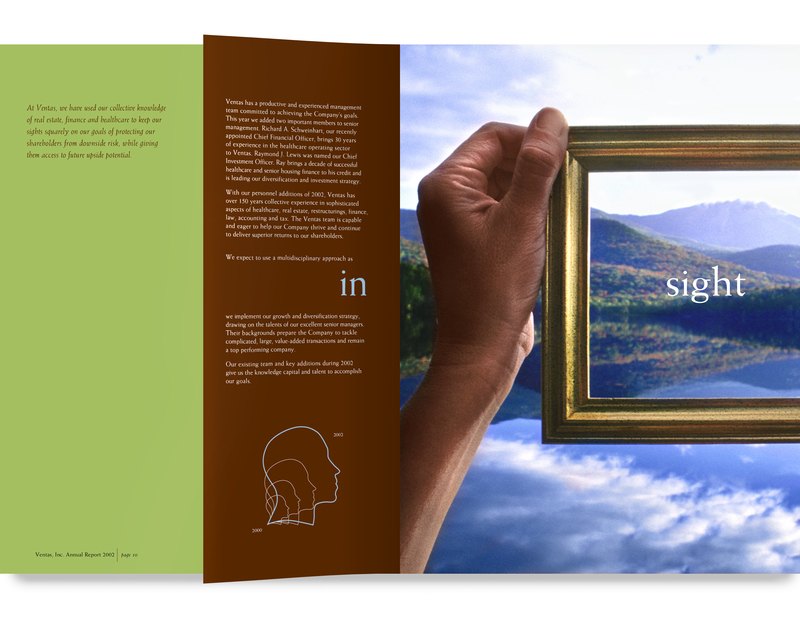 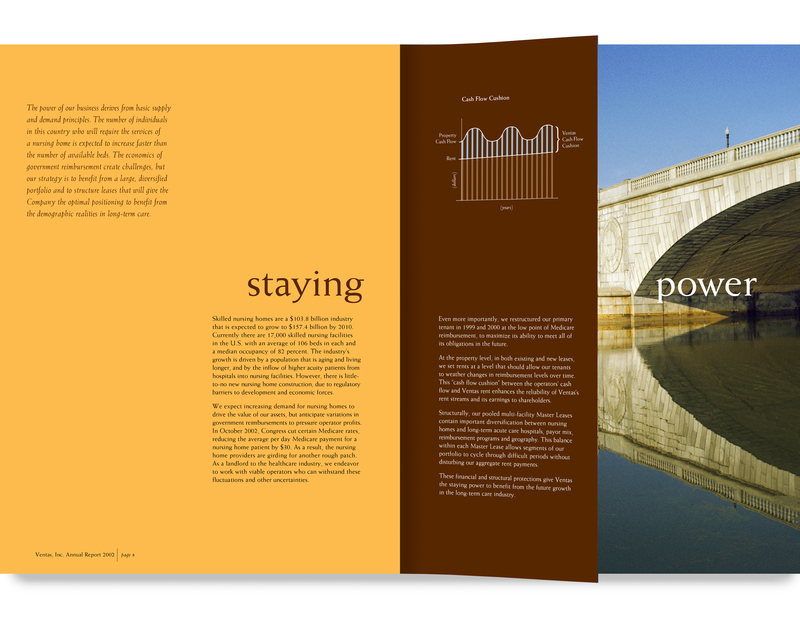 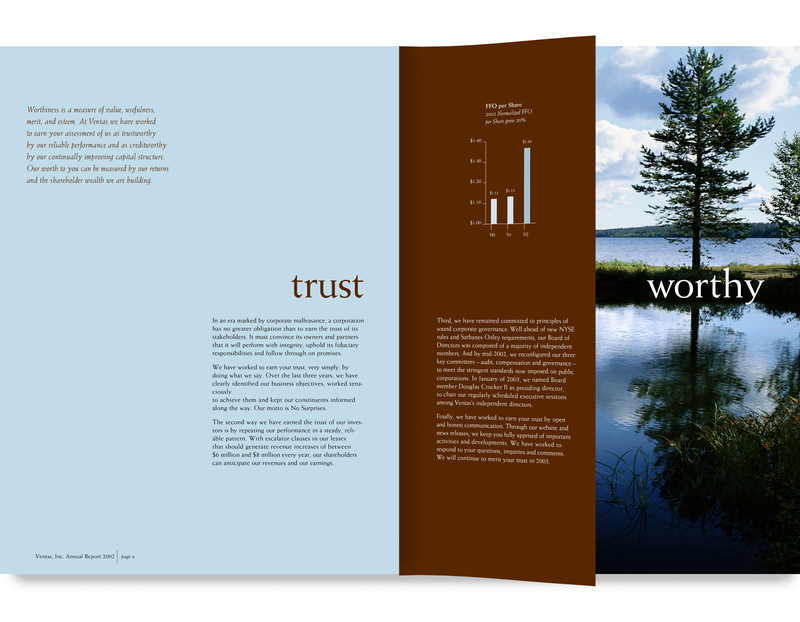 For this Ventas annual report, we used playful combinations of words and images to create a strong and impactful presentation. 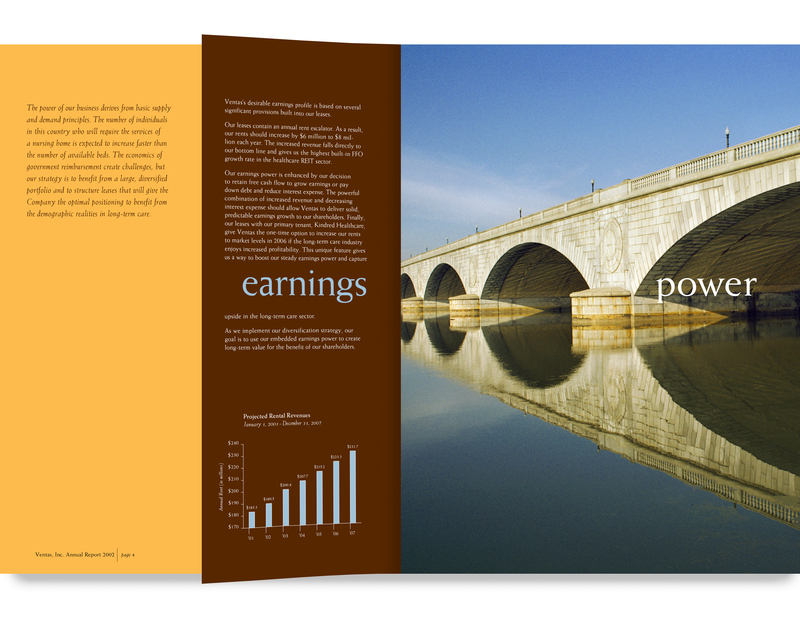 Cleverly using halfsheets, we were able to emphasize and reinforce Ventas's key message points. 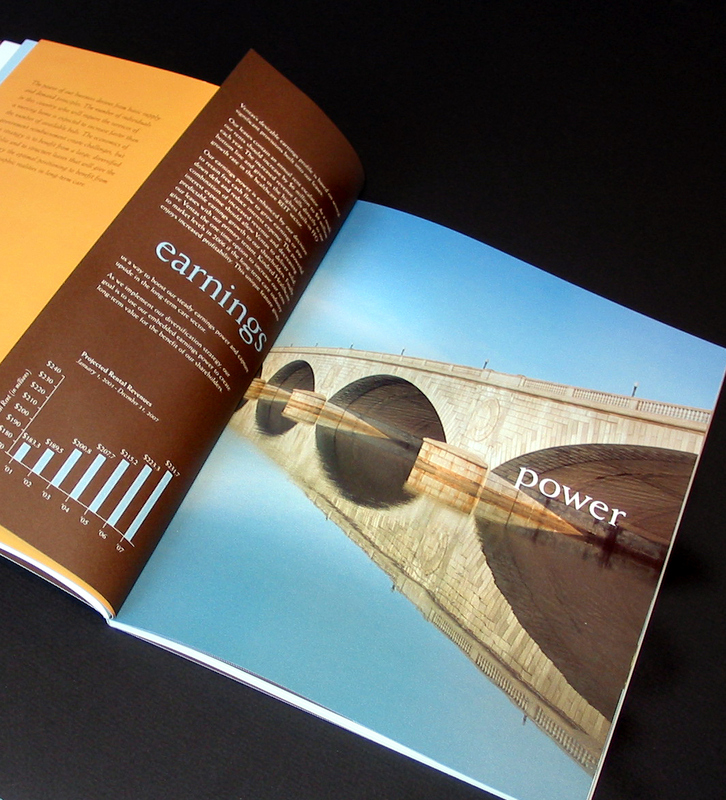 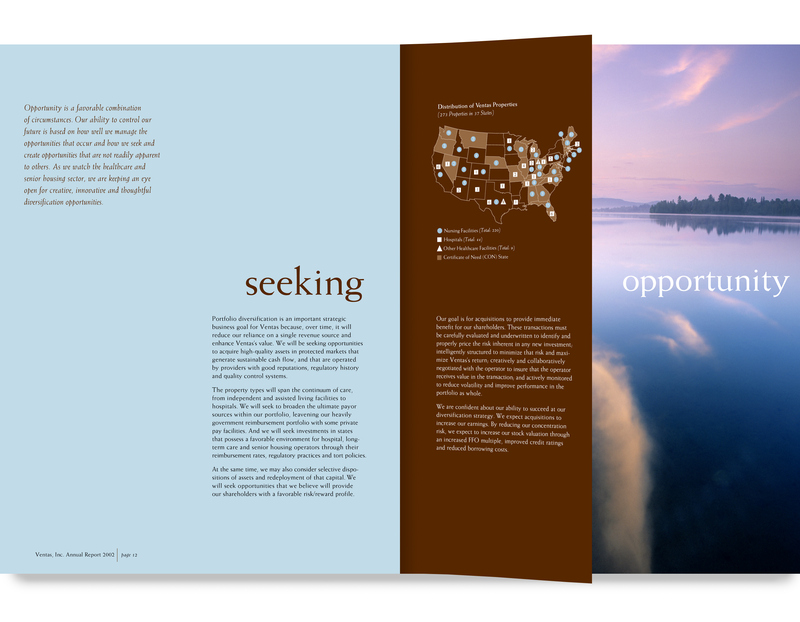 This annual was showcased in the Chicago 50 (Unisource's annual showcase of finest annual reports). 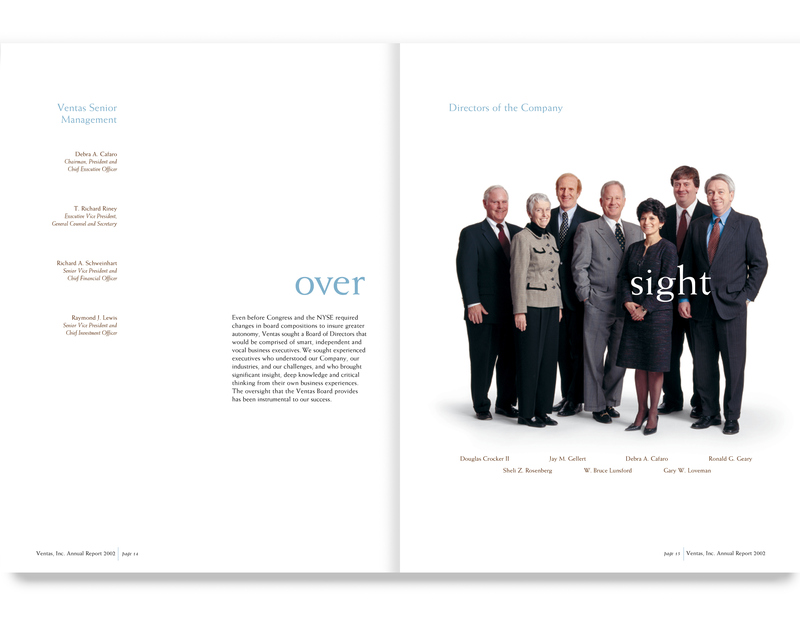 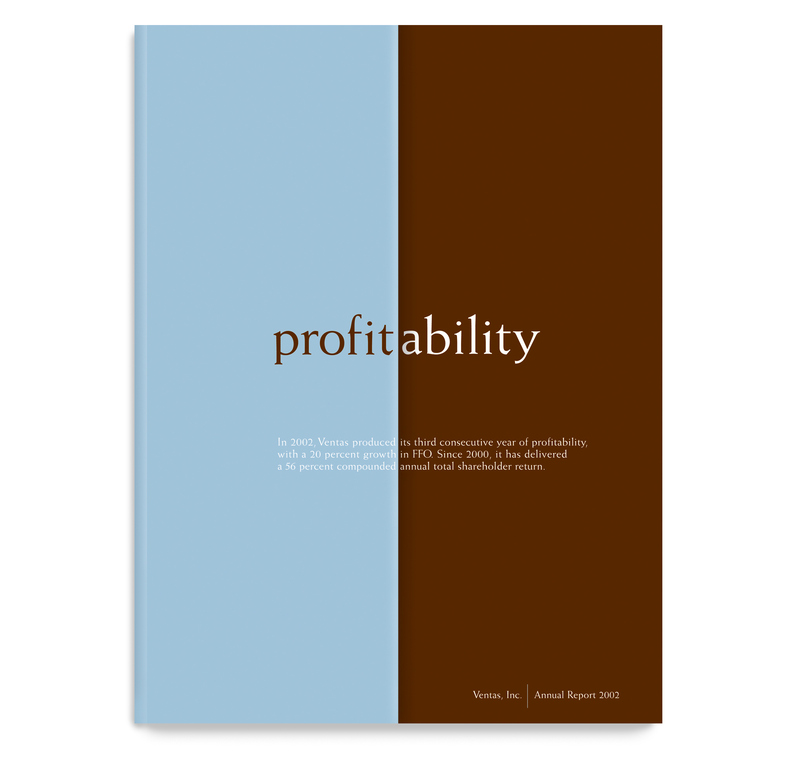 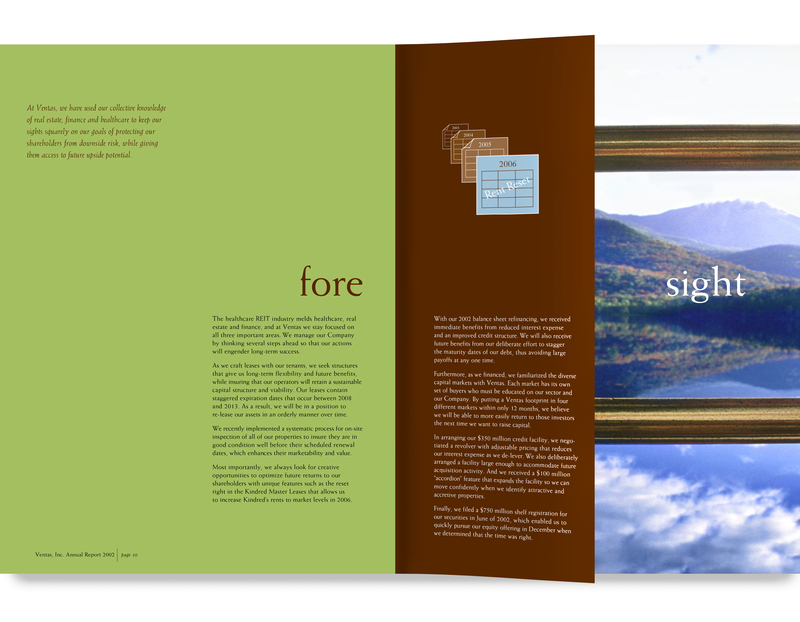 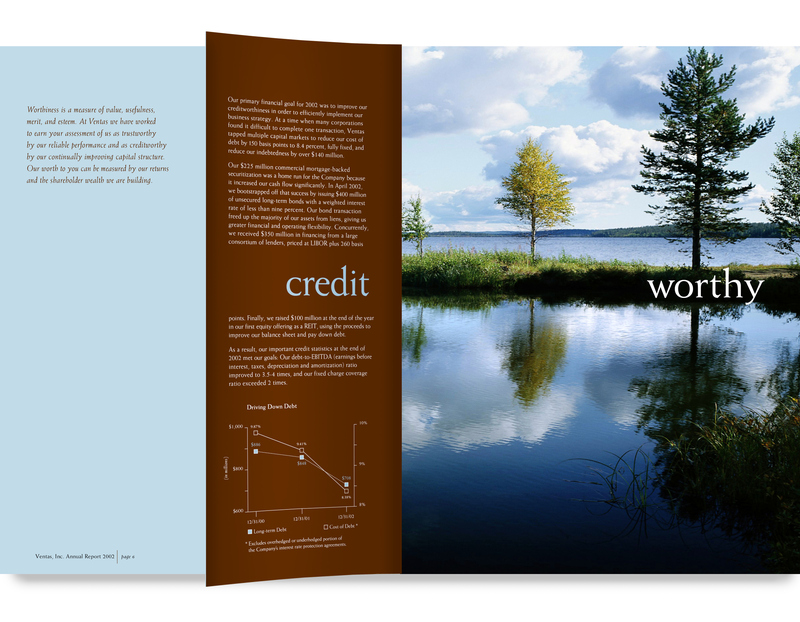 The word play was carried throughout the book, including the financials and Board of Directors' spreads.